The Permanent Portfolio– The holy grail for investing? I have got a lot of things that hook my attention this year, whether it is investing, at work or other things that I am interested in. But the one thing that I have come across that is the most astounding is the Permanent Portfolio. Why did it hooked me? 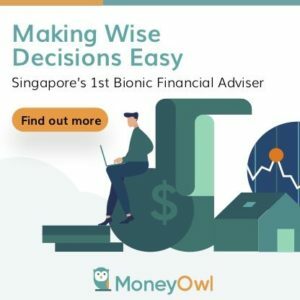 How would you like an easy to set up way of broad market investing that generates a return close to market, yet with drastically less volatility? This is the permanent portfolio. [The] Permanent Portfolio recognizes this limitation and seeks to invest a fixed “Target Percentage” of its assets to six carefully chosen, diverse and “non-correlated” investment categories. Such diversification in a single mutual fund seeks to mitigate risk regardless of the economic climate. Investors set up their permanent portfolio by investing in 6 major asset classes that are very low correlated. Because of the way they are uncorrelated, they take turns to outperform. Some will outperform while others underperformed. The end result is that based on past different market cycles, it generates very reasonable returns but with substantially less volatility. CSSAnalytics have a very good article that illustrates how it works. We have here 4 different periods where the economic climate is vastly different. The 4 major asset classes take turns to do well, while the others do badly. When these 4 major asset classes are equal weighted, the returns gets evened out. The long term capital growth was 8.55% which is lower than that of a traditional 60 equities/40% bonds mixed, which returned 9.67%. However, the worst year return was –6.46% versus –16% for the 60/40 equities/bonds mix. This volatility is important because, human beings tend to be more affected by large losses and act irrationally. If the level of loss is smaller and more bearable, they have a higher success rate to follow through the investment plan. The different asset classes can gyrate wildly in opposite directions but when aggregated, the past returns look respectable. The ultimate litmus test will be to put the strategy through 2003 to 2012 where we encountered 2 great bull runs and 1 really terrible bear market in 2008. The result is an annualized 7.4% per annum growth without including dividends. in the Great Financial Crisis, the loss on the portfolio was –3.9%. That’s very good. A stock heavy portfolio would have loss –49% in the same period. I have no doubts rebalancing will enhance the results of the permanent portfolio. Annual selling of outperformed asset class and deploying it in under balanced asset class, would be a systematic sell high and buy low. With 4 instruments to allocated to, it also makes management much simpler. I feel that for investors who do not want to take the road to actively manage their monies, a portfolio strategy like this looks very attractive due to a past return that keeps above inflation yet it is not volatile enough to throw the investor off the horse, making stupid investment decisions such as selling at the lowest point and buying at the highest point. The key mantra is still cost matters, by investing in the lowest cost ETF and selecting the right brokerage, the permanent portfolio can be a no frills wealth growing means. This is with regards to the performance of the Singapore based permanent portfolio performance. I agree that the performance of 7% is pretty impressive without even taking into account the dividends etc. However, I am thinking it may be abit misleading with regards to the derivation of the 7.4% annually. Im feeling that the 7.4% is taking into account the fluctuations of the market rather than real return on initial investments. 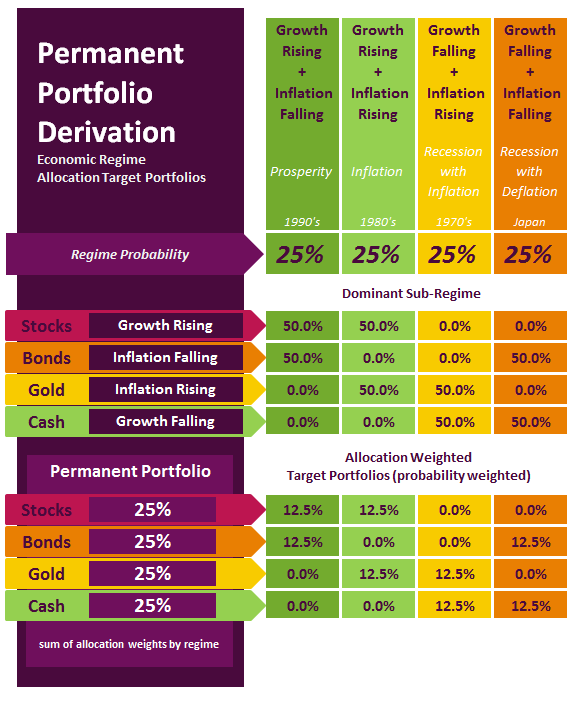 I am looking at it from the point of view that you invest 25% of your portfolio into the four segments at year 2003 and cashing it out only in year 2012. That would mean that over the 10 year period, the portfolio gave 100% return on STI ETF, close to zero return on bond ETF, around 240% return on gold and (1.005^9-1)*100% on cash. It would also mean a CAGR of 7.87%, close to zero%, 14.6%, and 0.5% for stock,bond,gold and cash respectively over the 10 year period, which give rise to 5.76% annual return (instead of the 7.4%), still an impressive figure given that dividends are not included. But Im just thinking that the 7.4% is abit misleading. I will need to relook the figures. i calculated 4.5% myself! still with the volatility i find that return pretty respectable. thanks for pointing out. I find it will not perform as good in sg context. Cash portion unable to deliver as much returns as other countries can. Seems redundant. might as well cash top up into cpf. Cash earning low couldn’t perform? Now what would happen if a 50% market drop comes starting next week. What if government starts rising interest rate to 5%? 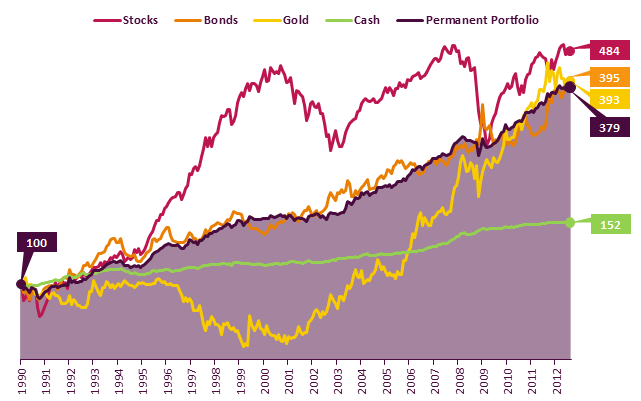 The role of a permanent portfolio is all weather and the four major asset classes are chosen because they are lowly correlated. had every thing in your portfolio be outperforming, you would be afraid when they start to taper off. Maybe throwing into cpf is not a good example since it’s locked up. If crash the cash component goes into stock component from rebalancing. In the end , cash component gets reduced but likely still not performing since in fd or t bills, I would rather call that as spare cash and not part of my portfolio. the aggregate return is what you will be looking at. If the cash component can perform better than 0.5% and still be low correlation, why not? I’m not saying that PP doesn’t work. What I’m just saying the returns may be better if implemented elsewhere .where cash returns are higher then here, just like you said … Interest rates of 5%. Already there in other countries. Just not here yet. hi bp, i take it you are a smart investor, and would like to believe that you are above average. this system works as it looks at the asset classes over a long horizon, be it gold when it move from 800 bucks to 200 bucks back to 1200 bucks, cash at different interest rates and bonds over a longer horizon. 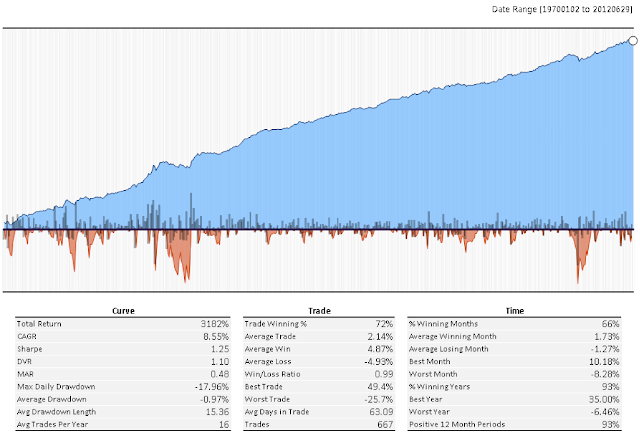 This system, and the returns will be affected if you game the system thinking you can outperform. as always the decision lies with the investor. for average folks who are looking at a plan savings that grow with time, this becomes a viable plan. A period of 10 years is too small a sample size if you really want to judge the returns of the permanent portfolio. Much more reliable if we do back testing for 20 and 30 year periods. Also, a Singapore Based Permanent Portfolio, while diversified in assets, is exposed to significant country risk. Investors should do the hard work of searching out good investments themselves, but if time is a factor, maybe finding a reliable, steady performing fund would be worth considering. We can only work with what we have. You can always choose to replace it with a World Stock Market ETF such as VT listed on the US stock exchange. The majority of the investors have shown that they are not able to pick good investments themselves, and are unwilling to put in the hardwork. As such active management is not the way. Picking a steady performing fund goes against every thing you just said that a period of 10 years is too short. how would you tell a steady performing fund? The best fund that beat the Sp500 for long periods by Bill Miller at Legg Mason crashed and underperformed the market in 2008 and are having a hard time recovering. The year 2012 brings us another point where active managers (including me) and hedge fund managers were severely under invested as most was looking for more downsides. If this is all the smart people that the average folks can tap on, then how do you find a fund that outperformed in 20 years? The solution for most is passive indexing. you are probably the 2nd person who mentioned on PP. I first came across PP through Alvin, of bigfatpurse, and his sharing. hi SC, that is where i came across the Permanent portfolio. Pardon a newbie investor like myself but what do you mean by investing in cash? Something like putting cash aside / in the bank? In a way yes. You should know in the 1990s we enjoy like 3% on cash savings. or it can be short term fixed deposit or money market funds. Dear Kyith, I have recently read about the Permanent Portfolio and there’s something that always bothers me. During the rebalancing event, surely there will be some odd amount of units you got to buy or sell from each asset class in order to achieve the balance. However, many SGX-listed ETFs, eg. STI ETF and ABF Bond Index ETF has a board lot of 1,000 units, which makes it difficult to rebalance. Do you have any suggestion on how to achieve as closely as possible the allocation ratio while being able to buy/sell at the standard board lot? Hey man, i am not sure about that. The act of rebalancing is to bring the portfolio back to the original allocation, and that can be done by varying how much you add to each category. Your frequency of adding is also a question, and your threshold of tolerence, that being whether to rebalance when its 5% or 10% out of wack. I suppose when your portfolio is small perhaps it is difficult. You don’t have to be so accurate to the minute detail, but just do it objectively. if something is out by 10%, add to the others more. if it ends up with 1-3% difference so be it. Dear Kyith, thanks for your insights. I guess 5-10% difference is also tolerable. I just read an old news about SGX reducing the board lot size to 100 units for ES3 and A35. Hope that this gets implemented soon so I don’t have to keep playing with the numbers again. Thanks for your sharing! i hope so too. i felt the spdr etf is the better one. i just wish vanguard total world stock market comes around haha.